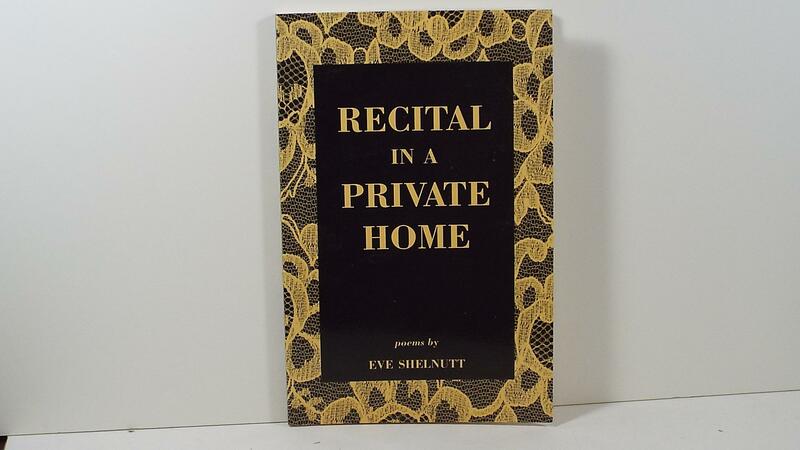 Publisher: Carnegie Mellon Univ Pr, Ithaca, New York, U.S.A.
A collection of poetry by Eve Shelnutt. A southerner by birth, EVE SHELNUTT received her B.A. from the University of Cincinnati and an M.F.A. from the University of North Carolina at Greensboro. She has taught at Western Michigan University and the University of Pittsburgh. Recently she became a member of the faculty of Ohio University. Her first collection of stories, The Love Child, appeared in 1979 (Black Sparrow Press) and was awarded The Great Lakes Fiction Award. The Formal Voice, her second, was published by Black Sparrow Press in 1982 and was awarded the Winthrop College Press for 1982. Her third book of fiction, The Musician, was published by Black Sparrow Press in 1987. 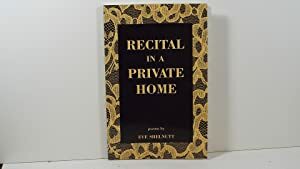 Recital in Private Home is her second collection of poetry with Carnegie Mellon University Press; her first was Air and Salt in 1983. Ms. Shelnutt&#x2019;s stories and poems have appeared in numerous journals, including American Review, Mother Jones, Virginia Quarterly Review, Agni Review, Ploughshares, Ohio Review, and Prairie Schooner. WE DEAL ONLY WITH INTERNET AND PHONE SALES. WE ARE NOT FOCUSSED ON ANY SPECIALTY. WE DEAL IN OUT OF PRINT, NEW, USED, SIGNED AND JUST ABOUT ANY CATEGORY. OUR BOOK LISTINGS INCLUDE TOPICS FROM A TO Z. WE HAVE NO RESTRICTIONS, IF WE LOCATE IT WE LIST IT. payment are in American Dollars.